Hi Colm, nice clear article about pandiculation. My experience is also that full attention and focus for/in the muscle group to lengthen is needed for a good pandiculation. Contract a bit and than release a bit more, and contract a bit and release a bit more, and so on. If you have the focus on only lengthening with the work done by other muscles, it does not work well, as you explained. Sometimes it is difficult to find the problem area. For example, I had painfull contracted muscles around my right hip. They did not release enough with the general somatic explorations for the hip, as explained very well by Martha Peterson. Also the muscles of the pelvic floor and especially the muscles between the tailbone and the sitbones were involved. After pandiculation also these muscles with pandiculation, I got more release of the muscles around the right hip. And also important, I had to learn to bend more in the hip joints instead of bending with the lower back ! Hi Barbara, thanks for your comment. Yes it’s true that sometimes it takes a bit of tweaking and experimenting to get the desired effect. It’s important to think in terms of the three reflexes though. Here’s something you can try too. Contract into your pandiculation and hold the position. Now, let go of any muscles that are not actually contributing to that position. This has the effect of making the sensation of the target area more clear. Once that is done, slowly relax all efforts back to complete rest. Often we use more muscles than are necessary, this is a way of resolving that problem. Thank you Colm, for your advice. I am going to try it ! “you illicit full cortical control” I believe you are looking for elicit? Yin yoga is very popular these days but that is passive stretching. Do you think it has a place or really if you want to stretch a muscle it should be eccentric stretching where the muscle is slightly engaged? Hi Gayle, Thanks for your question. I have just done some reading on YinYoga as it is not something I am very familiar with. It also mentions an emphasis on stretching connective tissue. We must remember that literally everyone will have some Sensory Motor Amnesia (read my very first blog entry for more on that). Yin Yoga and passive stretching will not resolve or eliminate this Sensory Motor Amnesia. Yin Yoga sounds like it would not be a good fit for anyone who does not already have excellent movement and mobility. Holding static stretches for long periods essentially overrides the Stretch Reflex. We have a Stretch Reflex for a very good reason. It stops us ripping and tearing muscles. It is a protective reflex. Why would anyone want to override a reflex whose purpose is to protect your muscles?? Somatics provides a much gentler and more intelligent way to improve movement and mobility by working with you Central Nervous System and not against it. Pandiculation engages the Sensory Motor Cortex so that we can first ‘sense’ the muscles in question and then voluntarily release and lengthen them. This process also eliminates Sensory Motor Amnesia which leads to systemic improvements in muscle control, comfort and range of motion. So the answer to your question is, it depends. I would certainly not recommend that style of Yoga to someone who has poor mobility and a lot of SMA. It would inevitably lead to more pain as it would trigger their stretch reflex for long periods. I think this style of Yoga will cause more problems than it will solve for most people due to the prevalence of Sensory Motor Amnesia in the general population. Do you practice Yin Yoga? Do you have pain? I do not practice yin yoga and I am not in pain. I ask the question because I believe like you that stretching should involve some contraction of the muscles to protect the joints, ligaments and tendons and it does help you to go deeper to your own edge when you contract and release the muscles when stretching. Yin yoga has become so popular in this country and in the town where I live. Also hot yoga is really popular. But I do not think these are the best practices. It is interesting to me that they are so popular but I think they are less effective and can lead to more problems. Would you say that Restorative yoga using props and gravity to relax and open up is different from Yin and effective as a tool to relax and have a temporary release of tension and would not cause problems like Yin yoga could? Thanks for your great article and for taking the time to answer my questions. I think about these kinds of issues a lot and want to keep educating myself on different points of view. Hi Gayle, remember the goal with Pandiculation is to regain the brains full control of the muscles by eliminating the Sensory Motor Amnesia (SMA). Somatic movements/exercises are more effective than any yoga or stretching for achieving this because they are designed for that sole purpose, eliminating SMA. If you eliminate SMA via Somatic movements your general movement will improve and you will find it easier to do any activity, including yoga. Really there is no need to stretch. Animals do not stretch, they pandiculate and they do not suffer from the types of muscle strains and spasms that humans do. The very function of the Pandiculation response is to prepare the nervous system and the muscles for movement. The function of the stretch reflex is to protect the muscles from ripping or tearing. When you know how to pandiculate you can apply those principles to yoga etc and practice it in a much safer and more intelligent way. I was wondering what your thoughts of mobilisers and foam rolling are in comparison to pandiculation? Which would you consider more effective and why? Hi Edenn, Thanks for your question. I will be posting about this in the near future. Sensory Motor Amnesia is a brain event, the muscles are tight because the brain is telling them to be tight. Foam rolling and mobilisers do nothing to change this instruction coming from the brain. When we pandiculate we change the message coming from the brain. The brain must be involved if you want to make any meaningful change in the muscle function. Foam rolling merely mimics the effects of a massage, and whilst it may feel good and have some benefits, it doesn’t address the Sensory Motor Amnesia. Return to my very first blog post to read about SMA. Thank you, yes I will do. Looking forward to your articles 🙂 glad I found this blog! I have red all above, and there is another nice way to release tension in muscles: by moving agonists and antagonist muscles in their range of possible motion for about 10-20 times. Gradually the range of motion will increase when you repeat this exploration for example every day for some weeks. Again, as explained by Colm, the movements have to be done with focus and attention, to activate the (re)learning process in the brain. And the movements have to be done with care, not with pain or strain. But often, the cause of too much tension in muscles is located somewhere else in the movement system. Then you need a very well educated therapist to find the problem area. That is my experience. Hi Barbara, great insights. Here is a clue for you, look for the parts that don’t move, that is where the tension and the SMA is located. Worth noting that it might not be the same place where the pain is! Thank you Colm, yes indeed, you are right ! That is also what I have learned so far. The parts that don t move are of the “radar” of the brain (SMA) and do not give feedback to the brain and therefore other parts (muscles) may have to work too much. It is all very important knowledge to resolve pain and disabilities. Thanks for your informative blog ! This is not something new. This is what the Chinese Internal Martial arts like Taijiquan, Baguazhang and Xingyiquan are all about. The Chinese have been using this type awareness in their martial arts and physical disciplines for thousands of years as part of both qigong and neigong practices. Great article though. Well written. 🙂 Thank you for sharing. Kelly, you are absolutely correct this is not new at all. In fact, it is as ancient as the brain itself! Everyone has pandiculated although they may not have known it, a yawn is a pandiculation.Somatics just provides an elegant and simple system of applying pandiculation to the three brain reflexes which can become habituated by the daily grind (stress, fear, anxiety, injuries, traumas). The result is a free comfortable body. Thanks for your message and glad you liked the article. I appreciate the feedback. Best wishes! Robert what was your experience of Somatics? Was it Hanna Somatics? Did you find it useful? Kelly, What is the evidence base to Pilates helping with SI joint pain, along with widespread myofascial pain, disc bulges, and osteophytes in the spine ? I am interested in exploring Pilates and CS, if I get answers that have educational explanation. Thanks. PLEASE TELL ME WHERE I CAN FIND SOME GUIDANCE TO DO THIS METHOD. Hi Tomas, if you email me via my website contact page and let me know where you are based I can direct you to a practitioner. Best wishes. I think the proces in the brain of a reflective pandiculation that goes together with a yawn, follows a different process in the brain than the conscious pandiculation. I think (and experience) there is less or no learning activity of the sensory motor cortex during reflective pandiculation. Interesting to figure out in more detail. Thanks to Lawrence Gold, Thomas Hanna (DVD unlocking your body), Martha Peterson, and yet in this blog of Colm (all involved in somatics education), I have learned about conscious pandiculation and the benifits of it. During sport training, yoga, chigong or fysiotherapy, I have never learned about it. A reflexive and spontaneous yawn can be very informative. You will instinctively contract into the areas that are tightest. Pay attention the next time you yawn and you will see. Hi Debra, it’s all about the SMA, you got to resolve that before you start strengthening. I will do a post on that for sure. Thanks for sharing the blog, it’s good if it’s getting people talking about these things. P.S. sorry for the can of worms. Hi Brent, Thanks for your question. I am not familiar with Yoga Tune Up method. Using a massage ball might feel good temporarily but it ignores the fact that the muscles are tight because the brain is telling them to be tight. ‘Dormant’ muscles? That is Sensory Motor Amnesia, it is a brain event and it can’t be rolled or massaged away. Somatics does away with the need for massage/self-massage. The brain can make the muscles softer and more relaxed than ANY massage when you know how to pandiculate effectively. I am a qualified Sports Injury Therapist so I have given and received plenty of massage. While it does have benefits and certainly feels good, the bottom line is that it doesn’t make lasting changes because there is no learning involved or the brain. You gotta get the painful muscles back under the control of the brain and the quickest way to do that is to pandiculate. I hope this response is helpful. Thanks for reading the blog. how can u make statements that Somatics does away massage/ self massage and things can not be rolled away. I have done all of the above any more other modalities. The more i experience the more i know i do not know and can not say in all honesty one thing does it all.. This is not somatics. It is certainly interesting and usefull to explore different modalities to better understand and improve the “dynamic movement system”. No modality brings all the possible knowledge together, is my idea. That would be arrogant to claim ! Interestingly, John Loupos, mentioned in the next blog of Colm, teaches tai chi and kungfu and hanna somatics (see jfkunfu.com and painandmobility.com). He has also written a book, and explains why he has learned also hanna somatics. Hi Tahnee, thanks for your comment. Clearly you take great care to ensure your students don’t hurt themselves in their practice and also that they make progress. All those things you mention, staying within ROM, attention to the area they are stretching and conscious breathing to assist, they are all brilliant teaching cues. Your students are lucky to have you as their teacher. However, if a person has Sensory Motor Amnesia, and most everyone does to some degree. Stretching won’t get rid of the SMA. 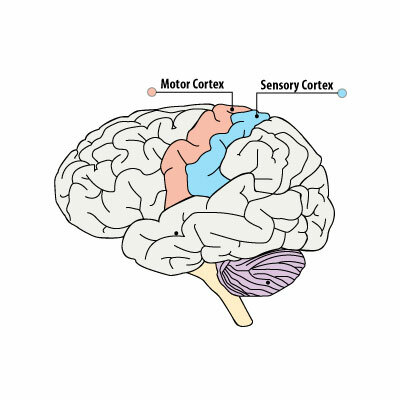 Because SMA is a brain event, you have to contract the muscles affected so that the Sensorimotor Cortex can sense them again, regaining cortical control, and then, relax/lengthen them. If you haven’t already, have a read of my first 5 blog posts. 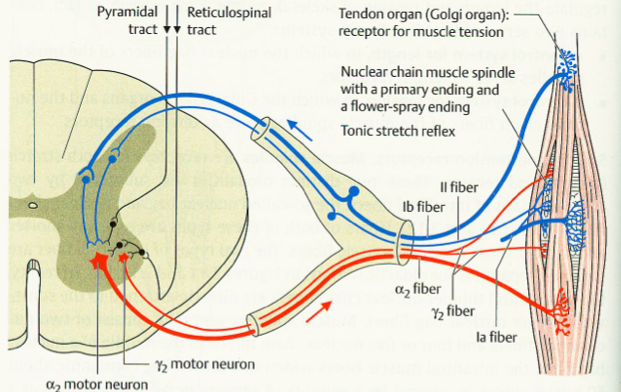 They explain SMA, the three sub cortical reflexes and pandiculation. This provides some context for the utilization of pandiculation within Somatics. I am not in any way against Yoga or any other activity. I encourage people to practice Somatics so that they can get more out of whatever it is they like to do. Any activity is much more enjoyable when you have better muscle control. I recently posted two basic Somatic Exercises, one for the back of the body and one for the front, here: http://wp.me/p5JEyK-8d. Check them out, watch them first then try them, and afterwards perhaps try a Yoga pose that involves bending forward and one that involves banding back. See if they feel any different having performed the Somatic Exercises. I’d love to hear your thoughts afterwards. The goal of Somatic Education/Somatic Exercises is to eliminate the Sensory Motor Amnesia, that is the point of difference between it and anything else. When the SMA is reduced/eliminated doing anything else will be easier. Thanks! I’ll have a look and as I’m teaching today, see if I can incorporate some of your Somatic Exercises into the class and let’s see what happens! I’ll let you know. Appreciate the links for further reading too. The SMA thing makes sense, it explains some of what I’ve witnessed in students. Report back soon! Learning so much here from the comments and really loving the inquiry that is going on here and the sharing of experiences. I too am a somatics educator,, as well as a craniosacral therapist and Yoga teacher. I love somatics, and find it very powerful, but like Robert above, need other modalities at different times. What I am curious about is why does Yoga feel so damn good if it’s not making long term changes for the body, and is (if I understand what you have written) in fact contracting the muscles we have tried to stretch? I am a bit confused. I know too in my experience that many, many of my students have talked of their increased flexibility in my Yoga classes. Can you talk more on this please Colm? Reblogged this on Barley and I.